Many thanks to La Côte Wheelers cycling club for inviting and welcoming me on their weekly Sunday rain ride. Many thanks to La Côte Wheelers cycling club for kindly inviting and welcoming me on their weekly Sunday rain ride (unfortunately Sunday weather has been awful here for months). La Côte is the scenic region along the north side of Lake Geneva. 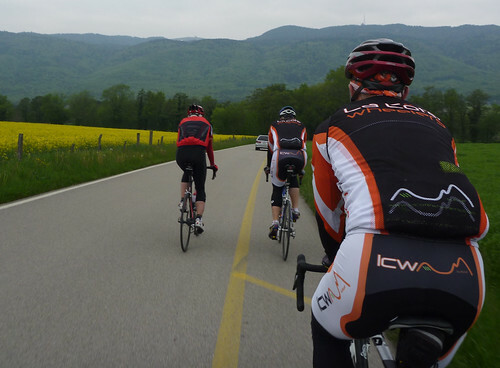 La Côte Wheelers is a small, friendly group of cyclists that plan a regular Sunday morning ride starting from Bursins, Switzerland. Upcoming rides and other info can be found on their web site here. The plan was simple. 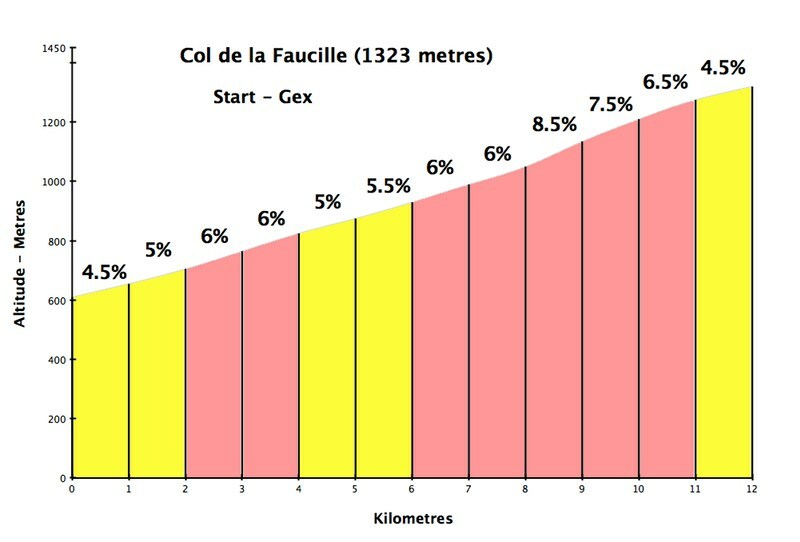 Up and over the Jura mountains via Col de la Faucille. A beer break at the top as we regrouped. Down the other side. 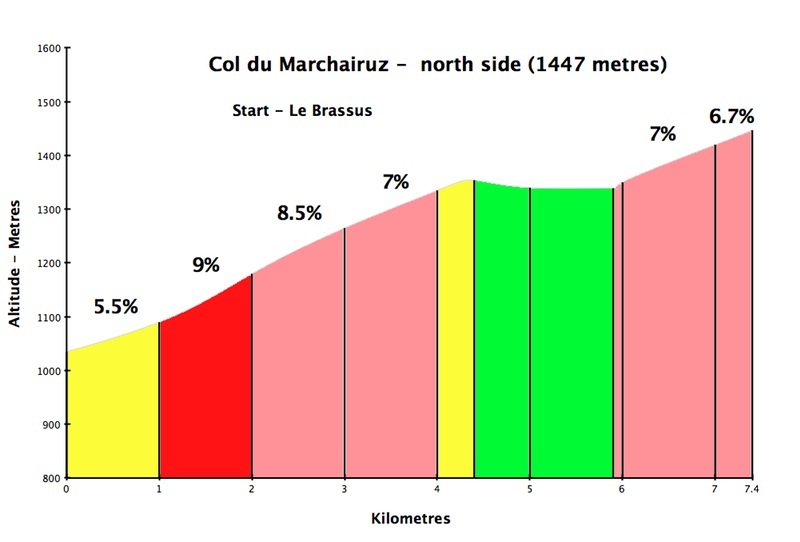 Up Col du Marchairuz. A Beer break as we regrouped. Descend in rain/snow to Mousse’ house for coffee/beer/food (thanks to his wife!). 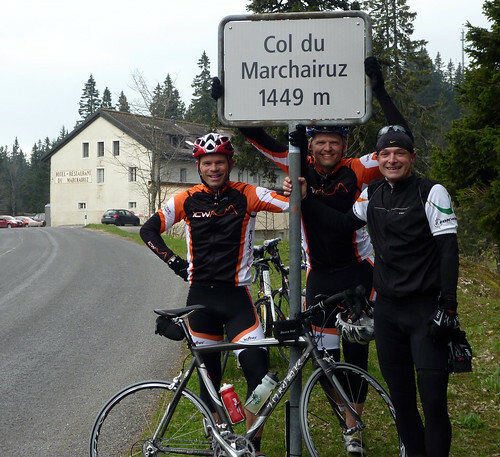 A very fun ride as I learned some new, scenic, quiet La Côte roads – with great company. And a final thanks to Shawn for ensuring we passed 100 kms! This sounds like a cool metric. But I’m curious about the part with beer before descending. I know you’ve talked about descending cautiously because you’re not into the crazy speeds. So, did the bevvy give you a little more confidence or did you maintain a solid grip on the bars and enjoy the sights? Either way… it looks like a fun day with a fun group.